New Paragon Table and Promotions! - Fixes to Sky Tower Hell: The invulnerable Chests from last weekend has been fixed. In order to see the changes and have Sky Tower working propperly, you will need to repatch your client. It's only a small repatch of your game.bin that will correct the issues with the Chests. Remember to open the game from your Launcher in order to download the patch, and to temporally disable antivirus and firewall to prevent any patching blocking issues. Available for one week, from February 7 to February 14th. There is something Divine about Envoys, without a doubt. Maybe is their strong ties with the Church. Maybe is the fact they can speak with the Gods. Maybe, because they have been selected by Gaia herself. If you find yourself often feeling as an Angel, today's Paragon will help you enhance all those glorious aspects of your personality. Mounts, Eidolons, Fashion, Costume Weapons, and of course... Wings! 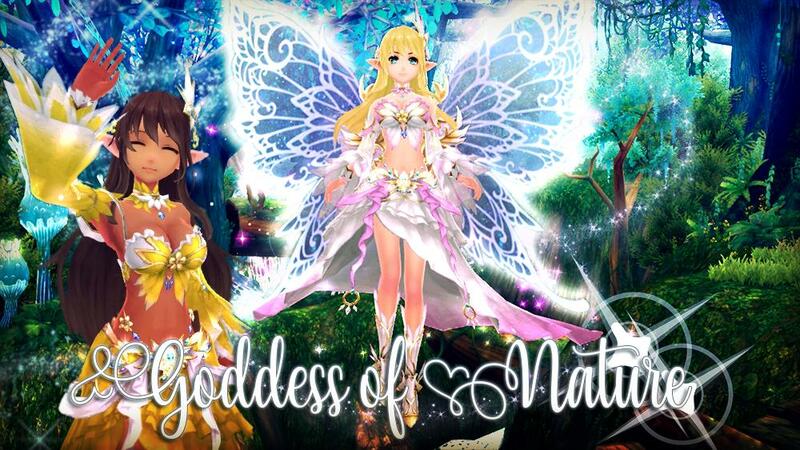 - Release of Angel Goddess Mounts, including the exclusive version "Golden Starry Goddess Angel Moon". - Shining and Common Mount Reshuffle Stones. - Michael's Key of Gaia and Key Fragments. - Michael's Holy Armor Costume Set. - Cloud Mounts, including golden exclusive version "Golden Baby White Cloud". - Winged Fantasy Lions, including the golden exclusive version "Winged Fantasy Silver Lion". - Wings of Sacred and Flare, Feathers of the Holy and the Night Bird, Wings of the Saint, of the Sacred Angel, Godly Wings. New AP and LP Promotions: Let's go Outside! Valentine's Day is just around the corner. And when love is in the air, nothing better than go outside! You can celebrate this Valentine's Day with a romantic walk in the forest, or a fun day at the beach. It doesn't matter what you choose, cause our stores will be filled with a fun and romantic vibe. Nothing feels more romantic than the colorful forests of Azuria. And our Goddesses of Nature will inspire a beautiful stroll! With the release of Sif's Costume Set and Wings, everything will be filled with fantasy and Magic. Hebe's Wings, Queen of the Forest Costume Set, Eidolons Keys, and more! If you are more up to a fun date, the beach is the perfect place to go. Our Loyalty Store will be filled with beautiful hats and hairstyles, swimming suits, mounts, and of course, the Gods of Summer: Sultry Nidhogg, Hot Alucard and Undine. Next Week we are getting started with this month's celebrations! 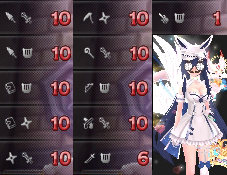 New Sky Tower Classic and Sky Tower Hell Floors. 41-50 will finally be revealed! Sky Tower Hell Revamp: The challenge is getting harder, but the prizes are getting better! Anniversary Events: A full week of Sky Tower to celebrate our five years together! Exp Events, Special Promos, and more! Think of a Supa... Yup, it's me! Thanks for your hard work Aura and dev. I have a question regarding the STH fix: After the "crash" or "fix" on saturday, altho chests could be killed, players weren't able to target any enemis, and the raid couldn't go any further than f9, did that bug get fixed as well? Everything should be working as intended now. I will try to be around on the weekend in case is not. Ahhhh big changes soon. e.e I hope everyone can keep up with it. /). (\ As long as it's worth doing, it will be done! Gonna be a loaded week with ST Week, EXP Event, Special Promo, and all that. Woot!